Let's be honest. We've all attended plenty of inefficient and exhausting meetings. We may have asked ourselves the following questions too many times. What is the point of this meeting? Why is this meeting so disorganized and boring? Didn't we already cover this at our last meeting? When will this meeting end? Isn't my time more valuable?!?! If you want to improve your skills to lead effective meetings and be a valuable contributor to meetings, then join us for this workshop. The workshop will cover approaches to plan and lead organized, thoughtful meetings and teleconferences that result in productivity, collaboration, and innovation. 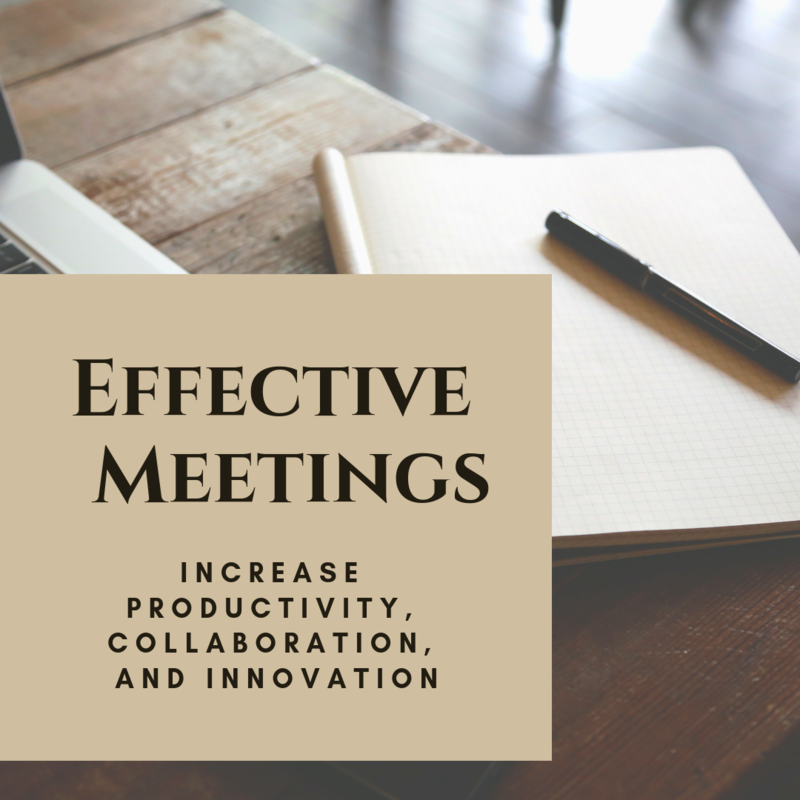 This workshop will highlight best approaches for meetings to be effective as a tool to inform, brainstorm, innovate, problem-solve, and motivate. Also, we'll review strategies to successfully facilitate meetings so you don't have to deal with the negative consequences of side conversations, passive-aggressive behavior, and hijackers. And, we'll discuss circumstances when a meeting may not be the best approach to accomplish your goals or when you should opt out of meetings to make better use of your time. This workshop aims to help you create an organizational culture of effective, productive, and uplifting meetings. Describe the characteristics of effective meetings. Use preparation and follow-up to ensure the quality of your meetings. Improve your meetings and teleconferences with effective communication.